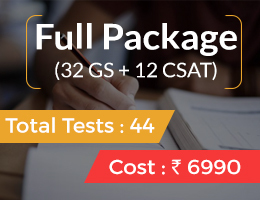 As we all know that General Studies Paper – 1 has become very important thanks to primacy given to it over Paper – 2 (CSAT) in deciding eligibility for the Mains exam. With 30 days to go for the 2015 Prelims, there are certain doubts being expressed by various aspirants on this forum and elsewhere. How many questions should be attempted? How to maximise scores by utilizing these 30 days effectively? What should be the target score? 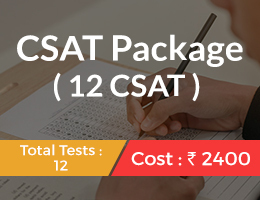 Before answering above questions we would like to suggest few things about CSAT Paper. 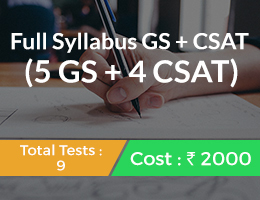 Even though CSAT is made qualifying, you must try to answer all the questions at any cost. Try to take it as seriously as you would take the Paper-1. Solve the easiest ones first and then move to difficult ones gradually. What this paper demands more is presence of mind and commonsense rather than rote knowledge. Please try to do best in this paper. 1) How many questions should be attempted? You must first attempt the questions for which you know the exact answer. 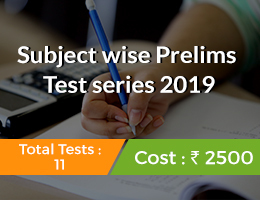 Be it 10, 20 or 40 questions, first solve them and mark their answers carefully on OMR sheet. Next go for questions where you are more than 50% sure. Try to eliminate options and try to recall information to see if you can answer them correctly. Take a chance in this case. You should NEVER attempt a question for which you do not know the answer at all. 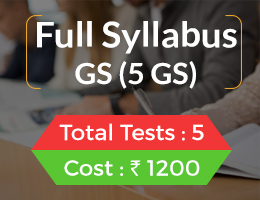 If you answer correctly around 40-50 questions, you can take a chance and answer another 15-20 for which you partially (50-60%) know the answer. If you answer correctly 60+ questions, attempt no more. Please at any cost don’t try to answer all 100 questions! This year it is extremely important to ‘NOT TO’ make any mistakes. 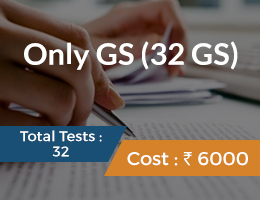 Due to increased number of applicants and competition, and importance of GS-1 Paper, marks will be highly concentrated between certain range (most probably between 80 to 100 – where cut-off is likely to fall). A fraction of mark can do lots of harm. Therefore it is important to have control over your eagerness to attempt all questions. 2) How to maximise scores by utilizing these 30 days effectively? During these remaining thirty days, your entire energy MUST be spent on two things: Revision + Solving Question Papers. Please do not try to read lots of current events and modules now. However, do not skip ‘environment + art, culture’ part at any cost. If you haven’t read them till now, please read them now. Read and revise what you have already read till now. Consolidating and remembering information from the sources which you are already familiar with should be the priority. You can also solve questions from Our Self Study Guide. This helps in revision. Most important thing is to remain calm now. Please take good rest and take care of your health. A good health, a good mindset will ensure confidence during exam. Short – term memory helps you a lot now. Hence, study intensively for next thirty days. Try to discuss probable questions with your friends. Just keep up your spirits. This exam is more about attitude these days and less about rote knowledge. 3) What should be the target score? 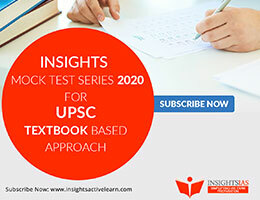 Try to score maximum marks. 120+ should be your target. Which means, after negative marking you should have answered 60 questions correctly. This is NOT the CUTOFF. This is to ensure that soon after Prelims, you can start Mains preparation earnestly. We do not know this. It is dangerous to think of this now. Cutoff can be as low as 70-80 or it can be 100 (we don’t know). What is important is to maximise your score. In case if you think you haven’t performed well, you don’t have to lose faith. You might still clear. You should have hope. But that is a distant scenario. Now you have time with you. Please use it cleverly. Your sole aim must be to perform well. One should not think about scores at all. If you go there with confidence, you will definitely perform better. For now, revise the same books thoroughly. Revise the tests you have solved till now. Solve more question papers. It is never late. You can be the topper. You should have trust in your abilities. Go for it. Wish you all the best.